HURON – Mary Coletta Kilcoyne Nageotte, 92, of Huron, passed away Monday, July 9, 2018 at Firelands Regional Medical Center, Sandusky. She was born Dec 23, 1925 in Cleveland and has resided in Huron for most of her life. She enjoyed being a mother and homemaker for her family. She was a talented artist and created beautiful artwork. She was a member of St. Peter Catholic Church, Huron, and in her younger years taught Catechism. She also attended St. Mary’s Catholic Church in Sandusky. She was devoted to her catholic faith and especially devoted to the Blessed Mother Mary. She loved praying the rosary and always had one with her. She enjoyed collecting antiques and she loved horses. She is survived by four daughters, Anne (Ted) Jones of Levittown, PA, Peggy Jordan, of Boise Idaho, Noreen Skebe, of Milan, and Cecelia (Fred) Sabol, of Huron; three sons, Joe Nageotte, of Huron, Dennis Nageotte, of Huron, and Brendan (Crysten) Nageotte, of Hartland, MI; grandchildren, Erin (Natalia) Jones, Emma Jones, Brendan Reitz, Jared (Jennifer) Dees, Paul (Haley) Nageotte, Kassie Nageotte, Tori, Louis, and Nicholas Nageotte; 10 great-grandchildren; and many nieces and nephews. 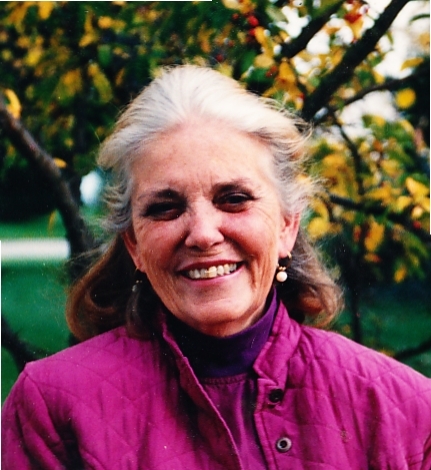 She is preceded in death by her husband of 50 years, Joe Nageotte in 2009; parents, George and Bridget (Malloy) Kilcoyne; a sister, Kathryn Hohman; and brother, George Kilcoyne. Friends may call Sunday, July 15 from 4 to 7 p.m. at the Foster Funeral Home & Crematory, 410 Main St. Huron. Funeral Mass will be held Monday, at 10:30 a.m. at St. Peter Catholic Church, 430 Main St, Huron, with Father Jeffrey McBeth, officiating. Burial will be at Scott Cemetery, Huron. Memorial contributions may be made to the Sorrowful Mother Shrine, 4106 State Route 269 N, Bellevue, Ohio 44811.